Our top floor photography studio space features a beautiful view of downtown Vancouver and the North Shore mountains. 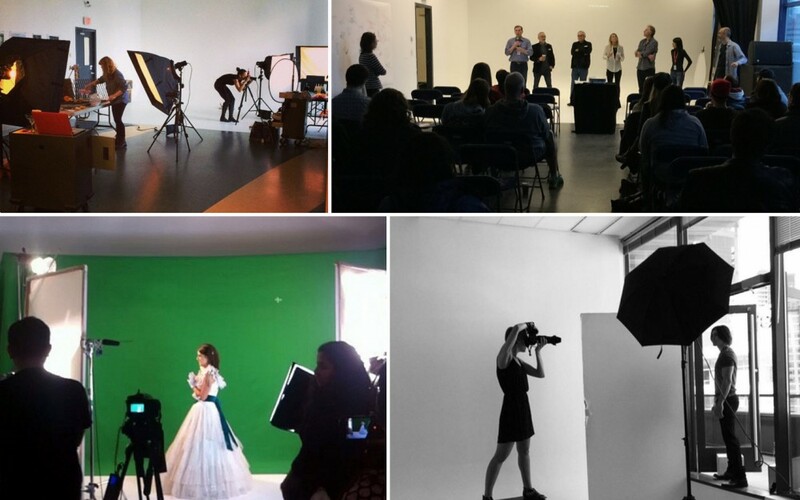 It is used for small-scale and large-scale photography shoots, workshops, green-screen film shoots for visual effects, physical training and showcases for acting, plus student/industry mixers, open houses and special events. 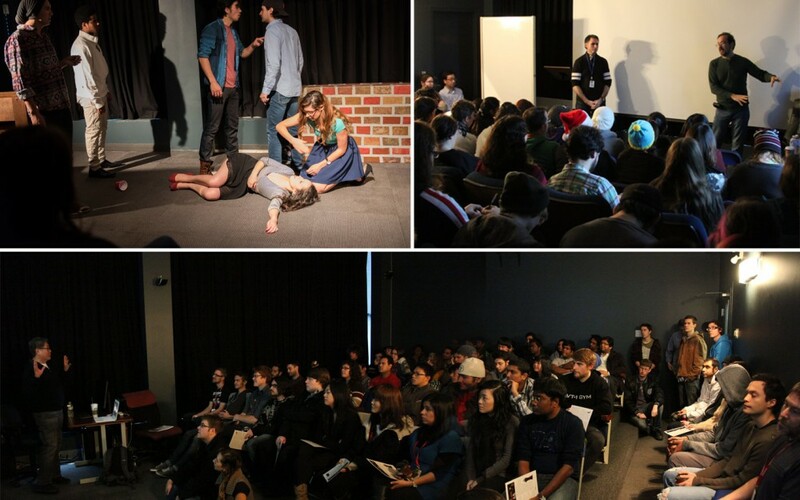 Our theatre is used for lectures, group critiques, info sessions and guest speakers from all departments. Students and staff can also book the theatre for movie nights or special screenings, and our acting students use it for their rehearsal project (a play performed in-house in their third term).